Rewind to Issue #104 of Singletrack Magazine for Rachel’s review of the Osprey Raptor 10. 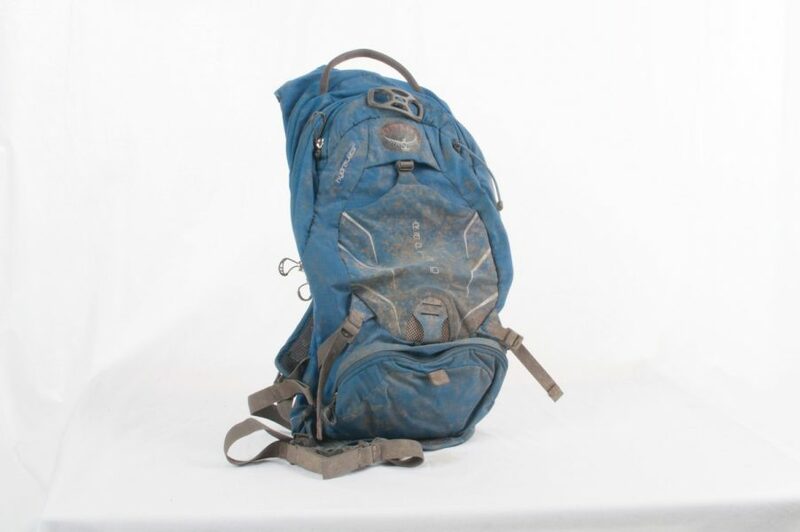 Osprey is an American company that prides itself on producing high-quality, technical backpacks that come in a range of sizes with a variety of features. Straight off and without strap-faffing it felt great. 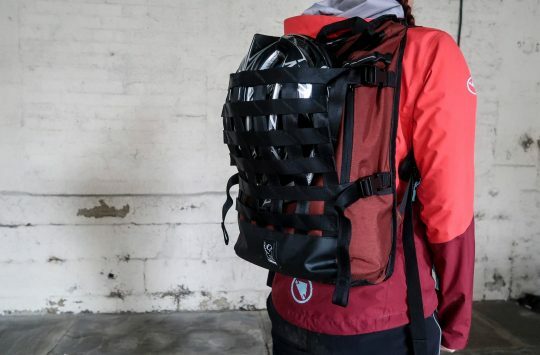 The Osprey Raptor 10 is lightweight, compact and built for mountain biking. The back panel is raised on foam ridges for ventilation, the mesh-lined shoulder straps are really comfortable and the waist straps fit nicely and are wide enough to work properly. All the straps are easily adjustable with clips and runners which keep the ends from flapping around. 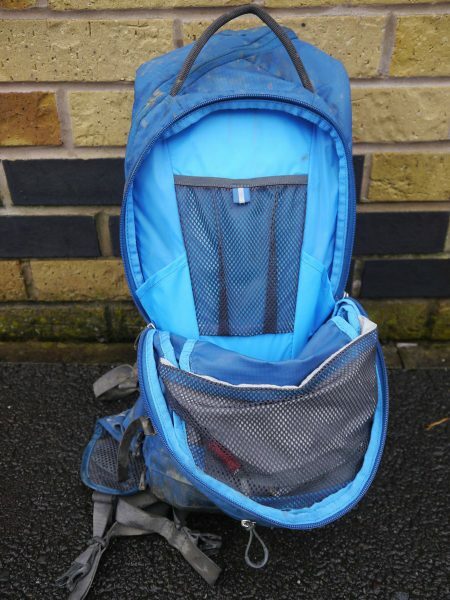 The bag is well shaped, even when stuffed full, and has been nicely stable. 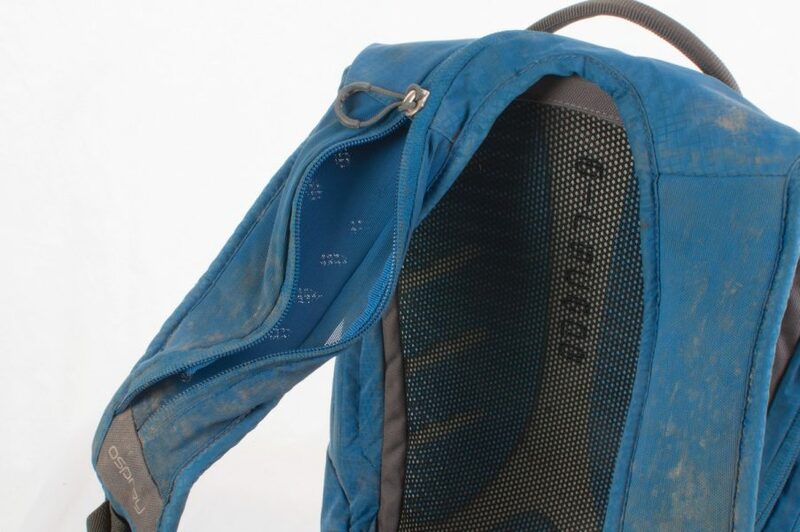 The AirScape back panel uses foam ridges to lift the pack off of your back and increase ventilation. 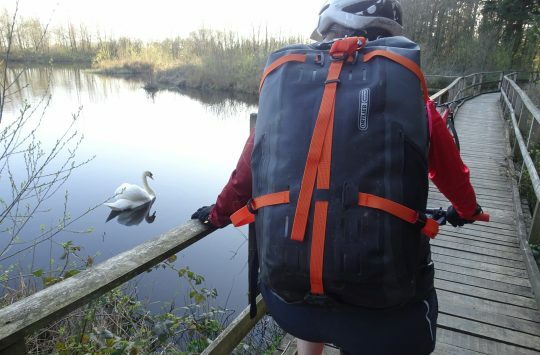 The Raptor is the smallest of the Osprey bike range and comes in six, ten or fourteen litre sizes. I’ve had the ten litre version on test and found it to be pretty much perfect for most of my day rides. 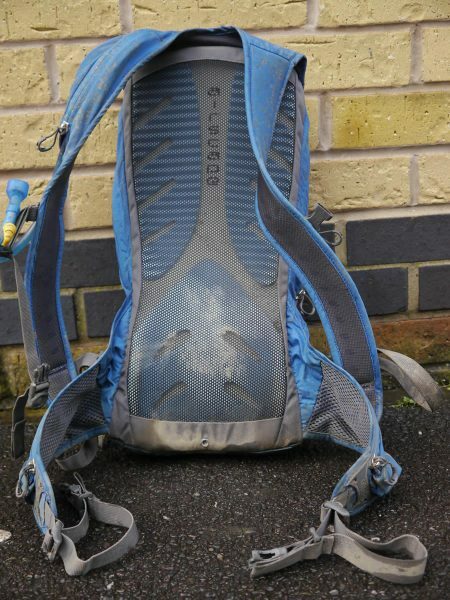 It takes a three litre hydration bladder that is accessed by a zip running from the bladder pocket down the right shoulder strap. 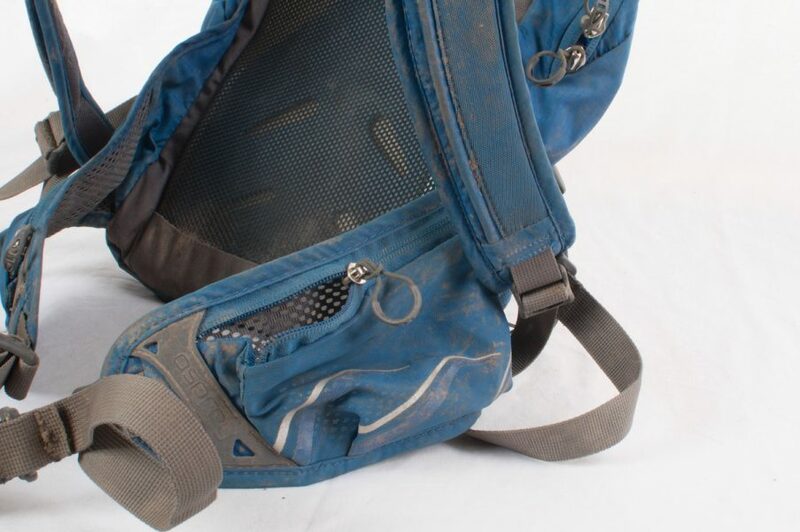 A zippered pocket hides the 3 litre Hydraulics reservoir. This zip makes fitting and removing the bladder really easy even when the rest of the bag is full. 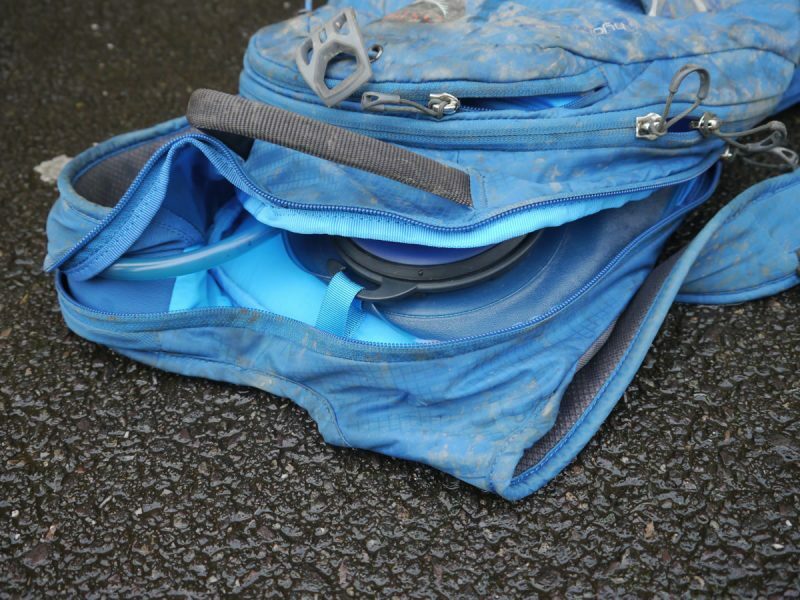 The disadvantage is that you’re restricted to running the hose down the right shoulder strap so Lefties will either have to switch or go elsewhere. And a magnetic buckle offers an anchoring point for the corresponding magnetic drink tube. You can buy the Raptor either with or without a bladder; this one came without so I couldn’t make use of the natty little magnetic valve holder on the chest strap. A simple main pocket offers a cavernous space with 10 litres of volume. The main pocket is big enough to hold my first aid kit, a waterproof, beanie, sandwiches and much more besides. There’s a smaller pocket on the front big enough for stashing snacks, a wallet and phone. Within this pocket there’s another zipped one with a key hook inside. All zips have string and plastic loops which makes them really easy to use even with thick gloves on. 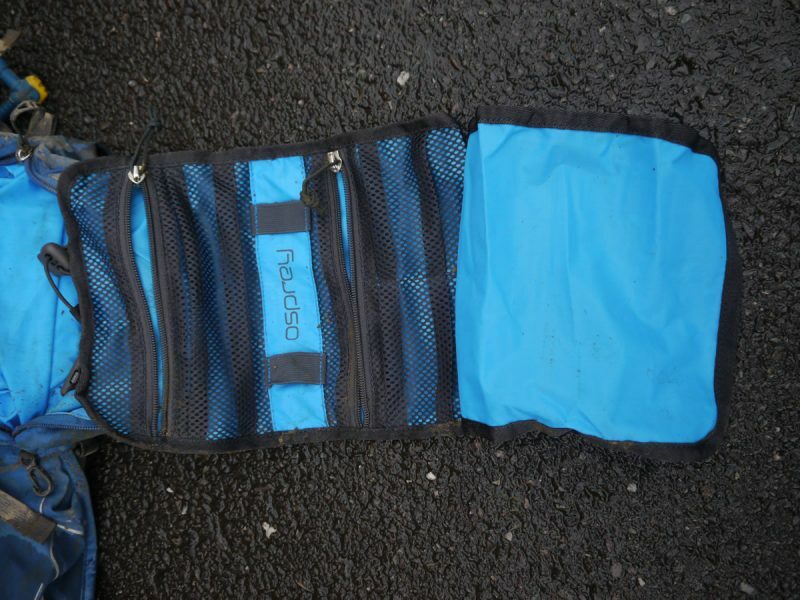 Osprey deliver the Raptor with its own tool roll for organising your spare parts and tools. At the bottom of the bag is a tool pocket with its own integral tool roll which is detachable by the means of two small toggles. This gives you the option to either remove it and not use it at all or stick all your tools in it and move it from bag to bag (or pocket). I’ve not used it as the pocket is well sized, making everything easily accessible. It happily swallows a couple of tubes, a mini pump (as long as it’s not too long), multi-tool, levers and other bits and that’s without removing the tool roll itself. So simple, but so effective. The elastic helmet holder works really well. 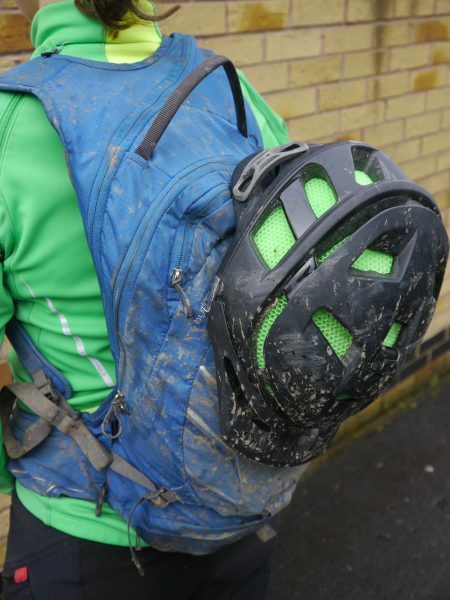 And when not carrying a helmet, it doesn’t get caught up on anything like other helmet-carrying nets and straps can. There is a cunning elasticated plastic gizmo for attaching your helmet to the bag at café stops and during other non-riding moments. Below this there is an elasticated mesh pocket with a clip at the top which I’ve used to put the chin guard of my helmet in when pedalling uphill, but it isn’t big or secure enough to put an actual helmet or pads inside. Osprey love features, and the Raptor has plenty. The shoulder zip is ideal for a sneaky gel or packet of jelly babies. 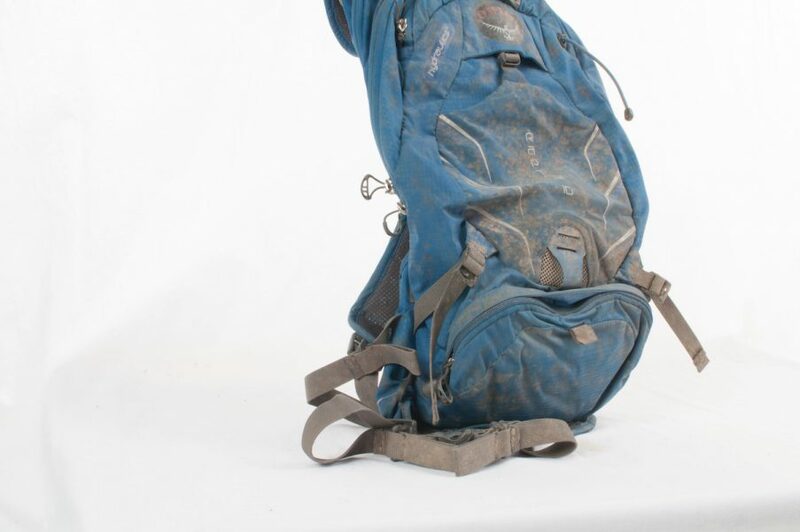 And the lightweight waist pockets offer further easy-access storage that reduces the need to stop and pull the pack off just to get what you need. 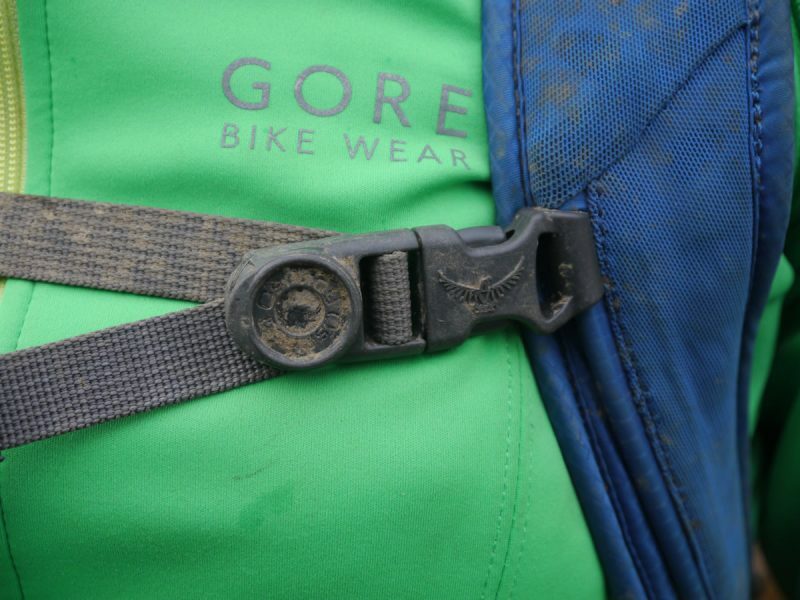 Other highlights are easily accessible zipped pockets on the waist straps for emergency snacks or putting your multi-tool back in when you can’t be bothered to put it away properly. There are also straps on each side with which I’ve attached knee and elbow pads. I also keep finding little key hooks, light attachment points and other bits which will all have their day I’m sure. 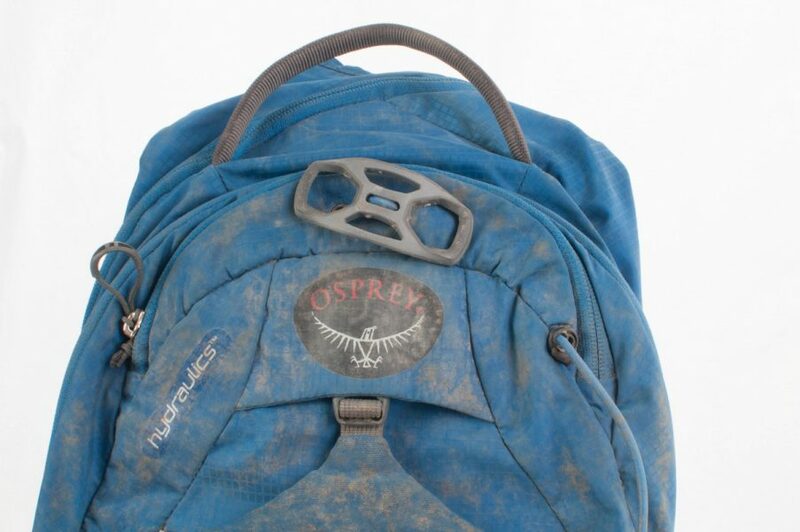 Despite its light weight, the Raptor 10 is a solid and tough pack. 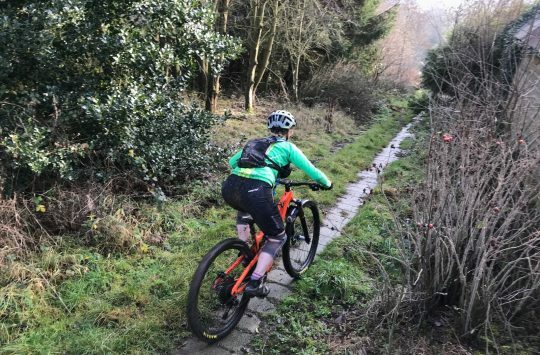 A high-quality pack that oozes brilliant features, the Raptor 10 offers just enough space for all-day riding, with a decently low weight and packability that makes it a great weekday trail pack too. Comfortable, adjustable and very functional, it gets the tick of approval from us.